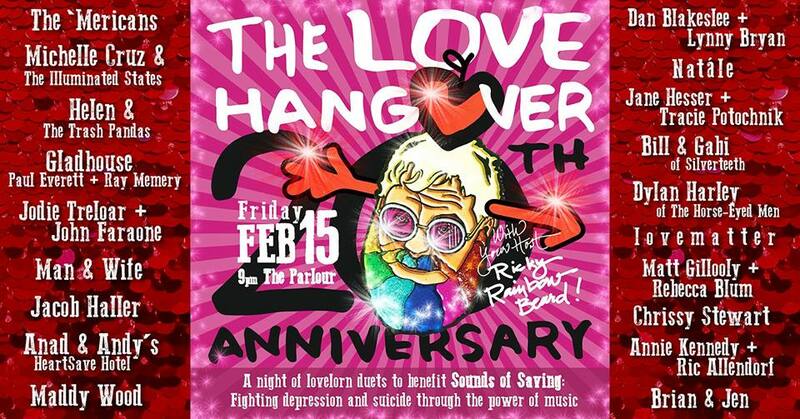 Please join us for The Love Hangover 20th Anniversary Show and Benefit for Sounds of Saving! 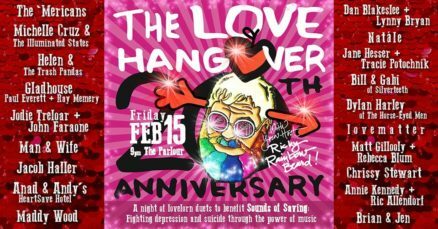 On this very special evening after Valentine’s day,a bevy of duets line up to sing love in all its facets from ecstasy to agony – while Emcee Ricky Rainbow Beard stirs up glittery shenanigans between sets! It’s a benefit for Sounds of Saving, a beautiful organization that treats depression and prevents suicide through the healing power of music.